Each April we gather for our Annual General Meeting. In 2019 we met at Tyndale Seminary. For an overview of our most recent AGM, click here. 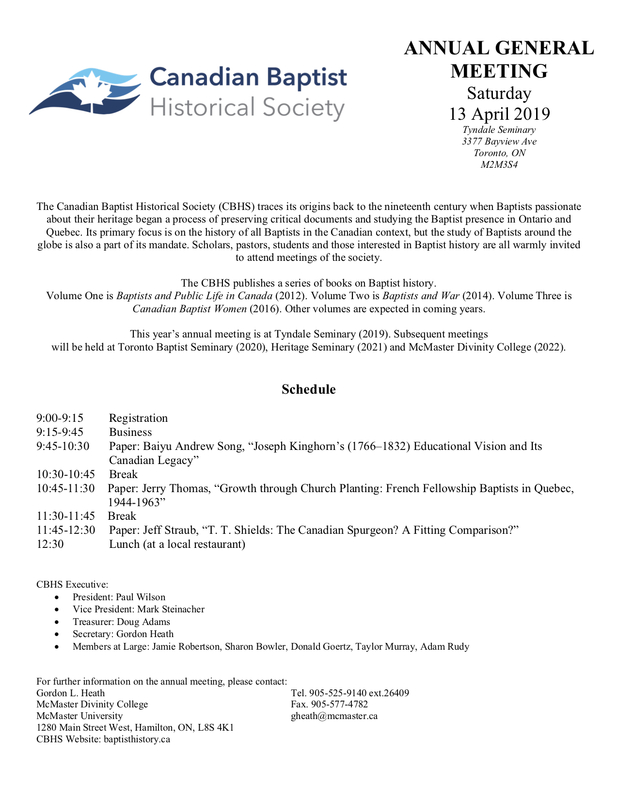 On 28 April 2018, the Canadian Baptist Historical Society held its annual meeting at McMaster Divinity College in Hamilton, Ontario.